Is yoga part of your daily routine? Would you like to introduce it to your children or your classroom? 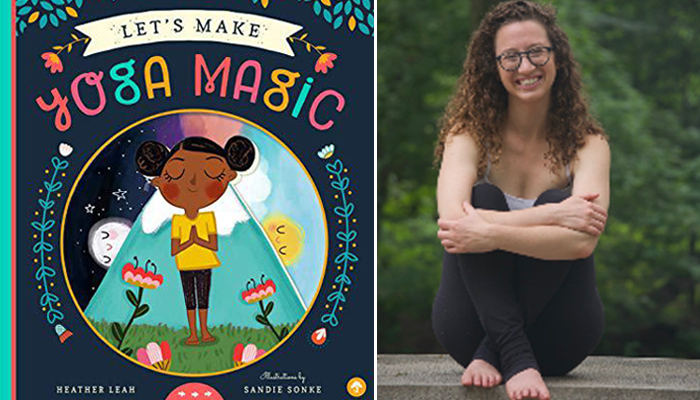 Teacher, behavior analyst, community organizer, children’s yoga guide, poet and now children’s author Heather Leah has written a new children’s book, Let’s Make Yoga Magic, that introduces yoga in a simple and fun way. Hi Heather. We are 100% behind introducing yoga to children. How were you introduced to yoga? I was introduced to yoga about nine years ago by a friend. She was visiting me in Boston, where I was living at the time, and brought me to my first community yoga class. I fell in love instantly and started going as often as I could. Did you ever think you would be writing a book showing children how to do yoga? You know, I thought I might! I’ve been working with children my entire life, as a nanny, camp counselor and administrator, a preschool teacher, and most currently as a behavior analyst (working with children with autism and other behavioral challenges) and as a pre-school yoga teacher. Since I started practicing yoga and meditation myself, I have always looked for different ways to share it with children in any capacity I could. We love how interactive the book is, with levers to pull and wheels to turn. It makes the yoga poses come to life. Was this your creative idea? It was really a collaboration between the publishing team at Familius and me. I love how engaged children are going to feel looking at the different poses, making them come alive, and then trying the different poses themselves! Why do you think yoga is so important in a child’s life and how can it aid in a child’s learning experience? I believe yoga is important to all children (and grownups) as a way of practicing mindful movements, staying present, trying new things, breathing through challenging situations and poses, and how to be in tune with one’s body! There are so many lessons that yoga has to teach us beyond the physical postures. My hope is that by introducing children to the physical components of yoga we can also be slowly introducing all the other aspects, such as kindness and respect towards their bodies and the bodies of others, how to slow down and take deep breaths (especially when frustrated or angry! ), and a general love and respect for our planet and the nature around us. What is your advice to teachers who want to add a few moments of yoga to their classroom schedule? It’s all about starting small and being consistent. I love the idea of having some sort of “yoga routine” each day. It may be something as simple as ringing a chime or singing bowl at the beginning of a lesson to have students see how long they can notice the sound before it is too quiet to hear. Once that becomes routinely part of the day maybe add 1-2 affirmations, a “moment of peace” (where children can close their eyes and take a few deep breaths), or having students share one thing they are grateful for at the end of the day. Maybe as children transition between activities, they can make one “yoga shape” or pose with their body. Any little thing that will have the class pause and be present is an excellent way to incorporate yoga into a classroom. 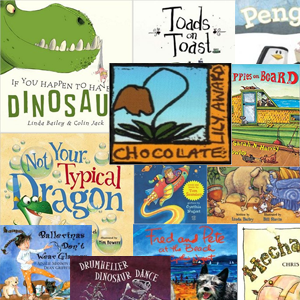 Will you be promoting your book through author visits? Live or through Skype? Yes! Definitely! I will be hosting free family yoga classes at bookstores, yoga studios, and preschools around the DC area. What’s next for you- another book or a particular project? I would love to create more books geared towards helping introduce children to yoga and meditation. I find there can never be too many tools for parents and teachers who are aiming to foster routines that teach kindness, patience, love, respect, and playfulness. If we were to visit you and look at your bookshelf, what genre would we find the most? A little bit of everything! I love historical fiction and regular fiction. I’ve been reading a lot of biographies lately as well! 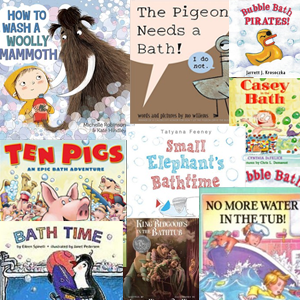 I also have an insanely large collection of children’s books, especially ones that rhyme!